Dear Mr. T., Thank you so much for taking the time to complete a survey following your recent stay at Fairmont Waterfront. We are grateful for your feedback, as it is through comments such as yours that we are continually able to improve future guest experiences. I am very sorry that the issue with our hot water system made your overall stay disappointing. Unfortunately, the repairs were not completed until 8 a.m., and it took substantially longer for the water temperature to return to normal. I am very sorry that you were impacted as a result. We appreciate your feedaback, and it is our hope that you will give us the opportunity to welcome you back and provide you with a seamless and truly memorable stay in the future. Sincerely, Grace Camacho Executive Assistant Fairmont Waterfront 900 Canada Place Way Vancouver, BC Canada V6C 3L5 T + 1 … 1801 F + 1 … 1999 gr… fairmont.com/waterfront-vancouver Think before you print. Help us reduce our environmental impact. Dear Mr. T., Thank you for completing a survey following your recent stay at Fairmont Waterfront. Your feedback is very much appreciated as it helps us to both recognize great service, and ensure we continue to improve. We hope to have the opportunity to serve you again in the near future. Sincerely, Grace Camacho Executive Assistant Fairmont Waterfront 900 Canada Place Way Vancouver, BC Canada V6C 3L5 T + 1 … 1801 F + 1 … 1999 gr… fairmont.com/waterfront-vancouver Think before you print. Help us reduce our environmental impact. Yayoi K. 様 この度は、Fairmont Waterfront でのご宿泊に関します、貴重なご意見・ご感想をお聞かせいただき、誠にありがとうございました。頂戴いたしましたご意見・ご感想をもとに、更なるサービスの向上に尽力してまいります。 またのご宿泊をスタッフ一同、心よりお待ち申し上げております。 Warmest regards, GRACE CAMACHO EXECUTIVE ASSISTANT Fairmont Waterfront 900 Canada Place Way Vancouver, BC Canada V6C 3L5 T + 1 … 1801 F + 1 … 1999 gr… fairmont.com/waterfront-vancouver Think before you print. Help us reduce our environmental impact. Dear Mr. M., We very much appreciate your comments regarding your stay at the Fairmont Waterfront. It is always a pleasure to receive positive feedback. I will share your comments with our team. I am sure that this feedback will serve as an encouragement to all of our staff as we strive to continuously improve the quality of our services. Thank you again for sharing your experience, and we hope your next visit will be as pleasant as the previous one. Warmest regards, Grace Camacho Executive Assistant Fairmont Waterfront 900 Canada Place Way Vancouver, BC Canada V6C 3L5 T + 1 … 1801 F + 1 … 1999 gr… fairmont.com/waterfront-vancouver Think before you print. Help us reduce our environmental impact. Dear Mr.T., Thank you for taking the time to share your comments regarding your recent Fairmont Waterfront stay. We continuously search for opportunities to enhance guest experience, and your feedback will definitely help us in this regard. We hope you will consider joining us again in the future! Sincerely, Grace Camacho Executive Assistant Fairmont Waterfront 900 Canada Place Way Vancouver, BC Canada V6C 3L5 T + 1 … 1801 F + 1 … 1999 gr… fairmont.com/waterfront-vancouver Think before you print. Help us reduce our environmental impact. Dear Mr. W., Thank you for providing feedback on your recent Fairmont Waterfront experience. Your comments are very much appreciated as they, without exception, help us to both recognize great service and ensure we continue to improve. 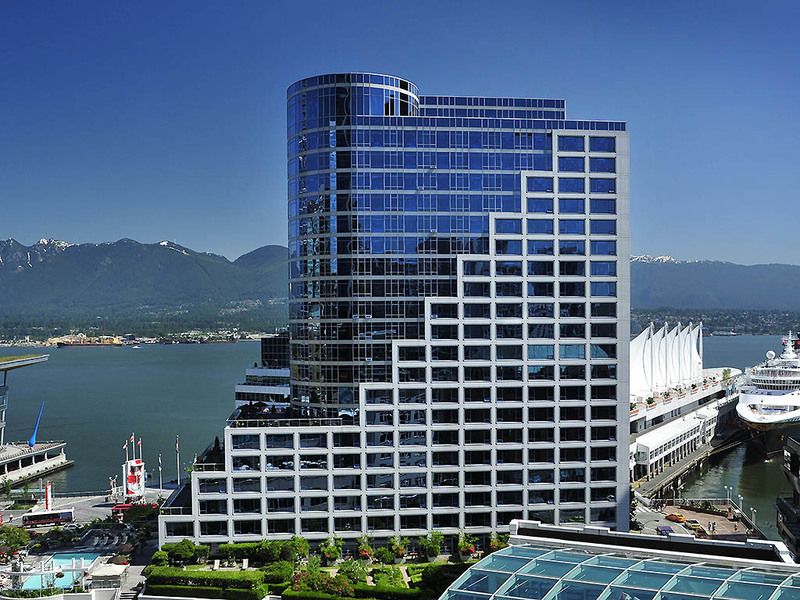 If you have not had a chance to share your experience online please consider using this link <a href=&quot;https://www.tripadvisor.ca/UserReviewEdit-g154943-d182554-Fairmont_Waterfront-Vancouver_British_Columbia.html&quot;>TripAdvisor</a>. We hope to have the opportunity to welcome you back soon! Kind Regards, Grace Camacho Executive Assistant Fairmont Waterfront 900 Canada Place Way Vancouver, BC Canada V6C 3L5 T + 1 … 1801 F + 1 … 1999 gr… fairmont.com/waterfront-vancouver Think before you print. Help us reduce our environmental impact. Dear Dr. J., We very much appreciate your comments regarding your recent stay at the Fairmont Waterfront. It is always a pleasure to receive positive feedback. I will share your comments with our team. I am sure that your kind words will serve as an encouragement to all of our staff as we strive to continuously improve the quality of our services. Thank you again for sharing your experience, and we hope your next visit will be as pleasant as the previous one. Sincerely, Grace Camacho Executive Assistant Fairmont Waterfront 900 Canada Place Way Vancouver, BC Canada V6C 3L5 T + 1 … 1801 F + 1 … 1999 gr… fairmont.com/waterfront-vancouver Think before you print. Help us reduce our environmental impact.